"As representatives of the German government in Israel, I must ask, what is your point in trying to transfer responsibility for the Holocaust and the Nazis among you, to us Jews in Israel?" Former Israeli army chief Benny Gantz, is close to cementing his party list ticket for the April 9 elections. Haaretz+ reported. According to Maariv, Gantz offered former news anchorwoman Miki Haimovich a high place on the list. Haaretz ran profiles of two politicians: MK Bezazel Smotrich, “the youthful face of unrepentant Jewish extremism, who has been elected to lead one of Israel’s oldest parties, marking a generational changing of guard in the settler movement,” and former TV and fashion celeb, Orli Levi-Abekasis, who could be Israel’s next kingmaker, writes Judy Maltz. Today’s top story was about the first day of Israel’s new military chief, Lt. Gen. Aviv Kochavi, who vowed to make the IDF 'deadly, efficient army.’ The commentators all agreed that Kochavi has entered at a politically sensitive period with numerous security challenges. Also in the news, conflicting reports about the indictment of the Jewish terror minor, the latest on Palestinian President Mahmoud Abbas' visit at the UN and the Israeli Minister who doesn't want to let him come back, and a Twitter debate between the son of the Prime Minister and Peace Now. The prosecutor’s statement said that the 'Jewish terror minor' who will be indicted for the murder of Aisha Rabi was involved in “serious security violations" in one of the most complicated investigations the Shin Bet has ever had, Maariv reported. Yet, Ynet reported that the minor will likely be indicted on manslaughter, i.e. for throwing the rock that broke through the windshield and hit Rabi in the head, killing her. Interestingly, police said that the other four suspects, who were released to house arrest, are still believed to be involved in the murder, which is considered by authorities an act of terrorism. However, a source told Haaretz that there is an "evidentiary difference" between the Rechelim settlement yeshiva student who is still in detention and the other four. As far as is known, all five refused to speak under interrogation, but the evidence against the detained suspect comes from outside sources. 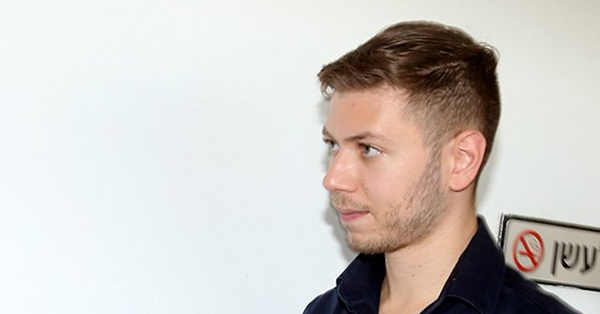 **Ynet Hebrew reported on a Twitter argument between the son of the prime minister, Yair Netanyahu, and Peace Now. Netanyahu Tweeted that “The leftists worship the generals and then call us fascists." Those who run Peace Now's Twitter account were quick to respond. Peace Now: ”Aside from writing and whining about leftists 24/7, did you ever think of expressing an original and relevant view once in your life, proving for once that you have something else in your personality besides hatred?" Netanyahu: “Do you have an original view that is not dictated by the German government and the European Union?" Netanyahu: "As representatives of the German government in Israel, I must ask, what is your point in trying to transfer responsibility for the Holocaust and the Nazis among you, to us Jews in Israel?" Netanyahu: "And as ‘Jews,’ why do you always support our Palestinian enemies, who murder Jews almost every day?" Could the FBI Hold 15,000 Israelis Criminally Responsible Over Binary Options? This Moroccan-Jewish Singer Made Arabic Music Popular in France. Why Have Israelis Forgotten Her? This is perhaps the worst election campaign in the country's history (Talia Levin, Maariv) I wanted to write about the elections, to scold all those who says there’s no one to vote for and that they are sick of this country and to reprimand the politicians who are acting like children fighting over who gets the ball, but I prefer to bury my head in the sand for the next three months. Israelis Love Their Army Chiefs (Zvi Bar'el, Haaretz+) The people won’t give up on the illusion that the prime minister needs to be the military commander that will pick up the phone at 3 A.M. Concerted Attack by Right Casts Gantz as Clearest Threat to Netanyahu (Chemi Shalev, Haaretz+) The former chief of staff’s pledge to amend the nation-state law embodies the choice between patriotism and nationalism that awaits Israelis on April 9. Gantz speaks, and the right goes wild (Sima Kadmon, Yedioth/Ynet) Benny Gantz's choice to make his first public political comments about the Nation-State Law, on which there's near consensus, could have been his way to ambush the right. Or maybe we're just putting too much meaning into it. Gantz just doesn't get it (Matan Peleg, Israel Hayom) Anyone who uses the nation-state law to garner votes or the media's approval is making a mistake. Israel Resilience Party chief Gantz would be wise to read the nation-state law and calculate a new path. Who’s Afraid of Transparency? (Haaretz Editorial) Despite opposition from Netanyahu and the Likud, further restrictions on election propaganda is needed to safeguard democratic values. The (Likud) bibots scream out what’s on Netanyahu's message page. Don’t confuse them with the facts (Yitzhak Ben-Ner, Maariv) Miri Regev, Oren Hazan, Nava Boker, and all the others are the clones of the bots from the social media networks, those in Hebrew and those translated from the language of a foreign country, which threaten to intervene in the elections. For the sake of the prime minister, they are ready to spill their guts in a non-stop blab. Thank Kahlon for Defending the Israeli Government’s Gatekeepers (Amir Fuchs, Haaretz+) All of Israel’s recent governing coalitions have included a civil libertarian component. We can only hope that the next coalition will contain at least one party that will take up the liberal center-right banner. No days of grace: the challenges facing Aviv Kochavi (Tal Lev-Ram, Maariv) Gaza will occupy him, Iran will increase the threat from Syria, and Hezbollah won’t give up its precision missiles. But the most important challenges that Eizenkot's replacement will face are from inside the army. As on senior officer said: "The ethos of the fighter in recent years, in the regular army and the reserves, is eroding. To blame it only on external causes of processes in Israeli society is to escape from dealing with it. You have to invest resources and make good quality training. More motivation, pride and compensation. So the stain will decrease. The danger is from within, not from the outside…The IDF knows what to do; It just has to want to do it." Israel's New Army Chief Gets to Work. This Is What Awaits Him (Amos Harel, Haaretz+) Any revolutionary plans Lt. Gen. Aviv Kochavi may have could be stalled by a prime minister busy with elections and embroiled in investigations. Kochavi's new challenges as chief of staff (Yossi Yehoshua, Yedioth/Ynet) The new IDF chief of staff will need to find a way to keep the army outside the political game amid the April 9 elections, formulate a national plan to boost motivation among new recruits, and make the adjustments needed to handle Israel's volatile fronts. The moral travesty of Israel seeking Arab and Iranian money for its alleged Nakba (Ramzy Baroud, Maan) The game is afoot. Israel, believe it or not, is demanding that seven Arab countries and Iran pay $250 billion as compensation for what it claims was the forceful exodus of Jews from Arab countries during the late 1940s. Debunking the 'Startup Nation' myth: How Israel's economy cut itself off from the world (Meirav Arlosoroff, Haaretz+) Despite its flashy image, Israel is a superpower of mediocrity and inefficiency, with a resulting 23-percent plunge in international trade during the last decade. 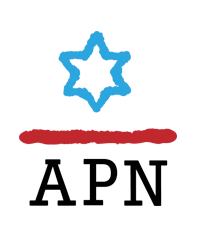 The end is no different from the beginning (Ariel Bolstein, Israel Hayom) PA President Mahmoud Abbas has proven a disaster for every aspect of Palestinian life. The economy is a disaster, as are human rights in the PA. Even his most loyal followers are hoping he steps down soon. (Culture Minister Miri) Regev presented the artists of the left-wing as victims of political persecution and proved that they are crybabies (Prof. Arieh Eldad, Maariv) The Minister of Culture and Sport, who has completed four years of service, has significantly increased the budgets and proved how much left-wing Israeli artists are spoiled.